It will be the first ever appearance for the Marching 100. Florida A&M University celebrates its 130th anniversary on Tuesday and it’s been a great week of news for the Rattlers. The University announced on Friday its invitation to participate in the 2019 Tournament of Roses Parade in Pasadena, California, another crowning achievement for the world-renowned Marching 100. The Marching 100 has entertained crowds across the world for over 70 years but has never participated in the Tournament of Roses Parade. The parade is a household name when it comes to New Year’s Day celebrations in America. Parade officials say sixty million people will view the parade worldwide and as many as 700,000 people will watch the performance in-person. “Our students continue to be recognized for excellence, hard work and their dedication to being the best in musicianship, performance, and academics. We look forward to this exciting opportunity and putting on an unforgettable show,” said Director of Bands, Dr. Shelby Chipman. FAMU’s Interim President, Dr. Larry Robinson, was obviously thrilled for the university to have this opportunity. “Congratulations to Band Director Dr. Shelby Chipman, our dedicated music department faculty and staff, and, of course, our outstanding student musicians. 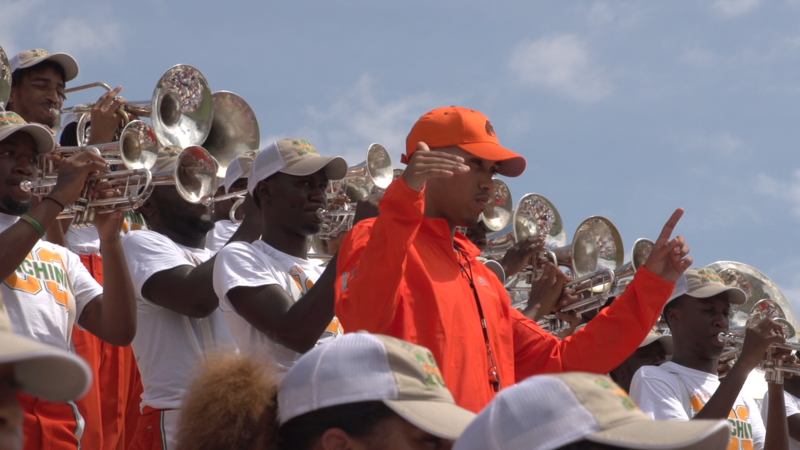 With the support of the entire FAMU family and friends around the nation, we will mark the Tournament of Roses Parade as another chapter in the storied histories of FAMU and the Marching ‘100,’” he said. Tournament of Roses parade officials say they chose FAMU because of the group’s exceptional talent, dedication, and showmanship. The band is beginning fundraising efforts to help finance the trip to California. Those interested in helping may contact the school directly.